COLUMBIA, 5/5/16 (Beat Byte) -- One of the world's most respected culture chroniclers, Vanity Fair, is out with a rave review of Columbia-based Stephens College. Part of a 9-school survey of all-women universities, the story examines why the college remains relevant in the era of co-education. 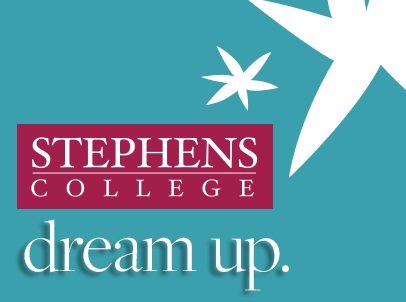 "Stephens, the second-oldest women’s college in the United States, has carved out a specific mission for itself, one that blends classroom work with practical experience," Vanity Fair explains. "Once a school for daughters of the gentry, now it focuses on preparing hardworking students for careers." Once 230 colleges and universities strong, today only 42 all-female schools remain in the United States. On the heels of a "heroic" alumni effort to save Viriginia's Sweet Briar College from closure, Vanity Fair wanted to know how the 21st century was treating single-gender education. "How are these campuses adapting to evolving definitions of gender and womanhood? Are these schools as rigorous as coed colleges?" the magazine asked. Vanity Fair reporter Lisa Birnbach -- who put "prep" on the map with her "Official Preppy Handbook" -- spent two days at Stephens College for a first-hand look at its people and traditions. She found a warm, personal place that reflects its values with practices such as Vespers -- a campus-wide quiet time -- and student-centric policies. "Stephens is one of the most accommodating campuses for pets in America," Birnbach discovered. Alongside dogs, cats, and horses "boarded in Stephens' celebrated stables, students also share their dorm rooms with birds, gerbils, guinea pigs, hamsters, lizards, mice, rats, sugar gliders, rabbits, and hedgehogs. The school provides doggie day care for those who are in classes and labs." It's not every college president who merits the description "chill mom/cool aunt/mother superior," butthat's how Birnbach sees Dianne Lynch, who has led Stephens for about seven years. For Vespers, aka "Stephens Unplugged", Lynch "collects all cell phones, hands out chocolates, and urges everyone to practice mindfulness for about 15 minutes." "Stay in the moment," she tells her young charges. "Your life is chaotic and full of anxiety." Chaos and anxiety hit Stephens College in the late nineties. Under president Marcia Kierscht, the school racked up a $3.8 million budget deficit and significant enrollment declines. Kierscht's 2003 successor, Wendy Libby, undertook a "strategic renaissance" that included shoring up financials, renovating the college's aging downtown building stock, and boosting student numbers. Current president Lynch took the helm in 2009, completing the college's rejuvenation. She governs with "a sense of calm and quirkiness," Birnbach explains. "In red Uggs when we meet (she wears red shoes every day in order to be recognized across campus), Dianne seems to know many of her 600 students by name and face," she writes. "They call her by her first name."